My first encounter with dolls was when I came to the art studio at Pioneer’s Palace, a youth center for creative work in the Union of Soviet Socialist Republics (USSR). Of course, no one thought about doll art at this time at all — children only liked to draw or sculpt. After graduating from the local art school, I began to study design at the Sverdlovsk Institute of Architecture. I created my first doll there and gave it to a friend as a birthday present. This amusement has lasted for 20 years. 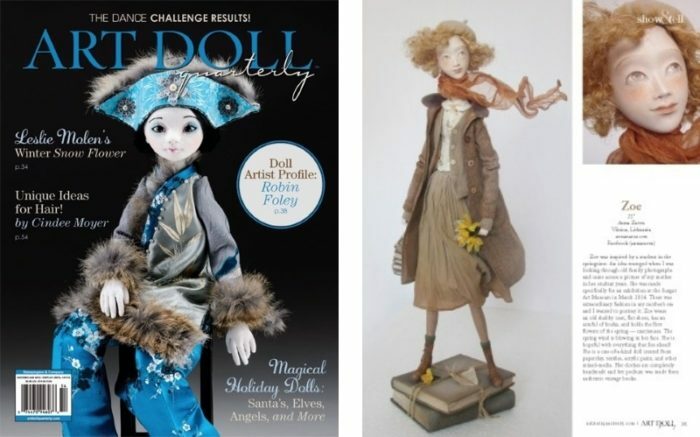 Inspiration for dolls differs from time to time. Sometimes this could be an interesting rag of cloth. The next time, a film I saw or a book I read. Sometimes my mood becomes an inspiration and some trifle is enough. I can see a piece of cloth, or imagine some gesture or pose. Dolls often prompt me (as to) how they want to look like. I always find it more interesting creating new images than repeating old because I have no lack of ideas. If I have inspiration, I can work 24 hours a day. My 7-year-old daughter, Serafima, often feels offended and tells me that I love dolls more than her. I design and sew the outfits for all my dolls. I studied the history of Russian theater costume. As a child, I even wanted to become a fashion artist and dress real people. Now I dress my dolls and, have to say, I like it even more. My house is occupied with rags, tiestrings and beads. I just can’t pass by a beautiful piece of cloth, even if I don’t know how I will use it. In the future, I want to work more and more. 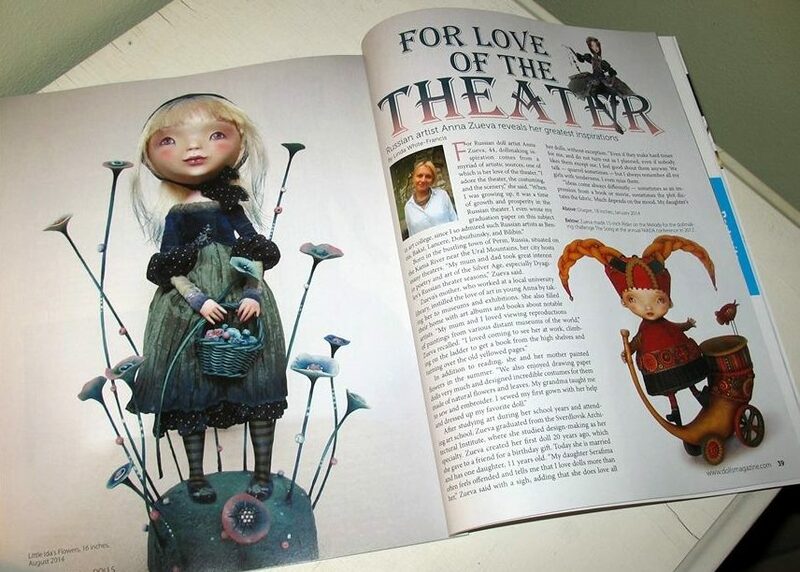 Only three years ago I became able to devote my time to making dolls. I want to take part in more international exhibitions and show my creations. 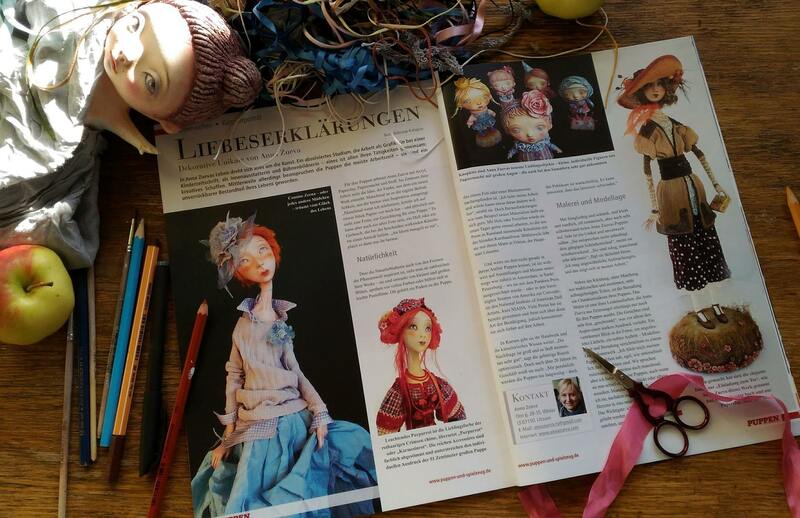 Although I constantly make dolls, they leave me in a moment (as in being sold). 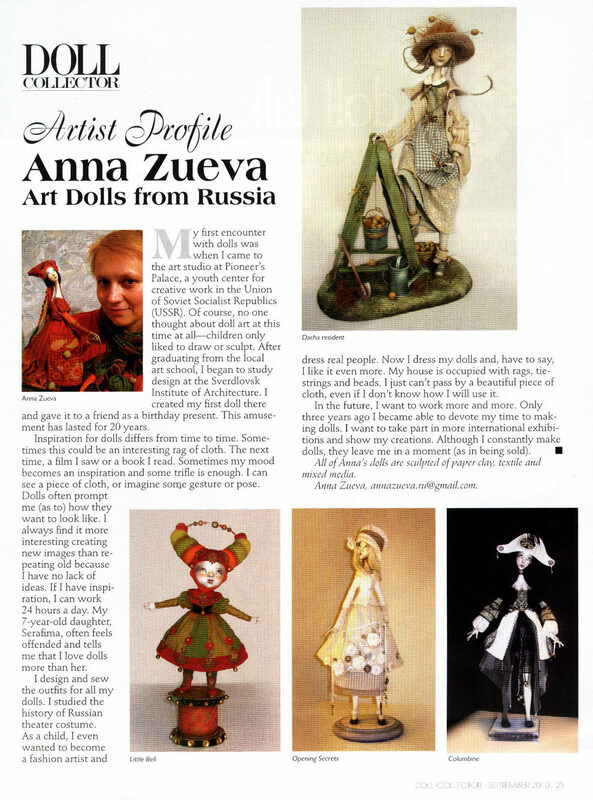 All of Anna’s dolls are sculpted of paper clay, textile and mixed media.